FENDI celebrated the opening of its new flagship store on Madison Avenue on Friday night, 13th of February. 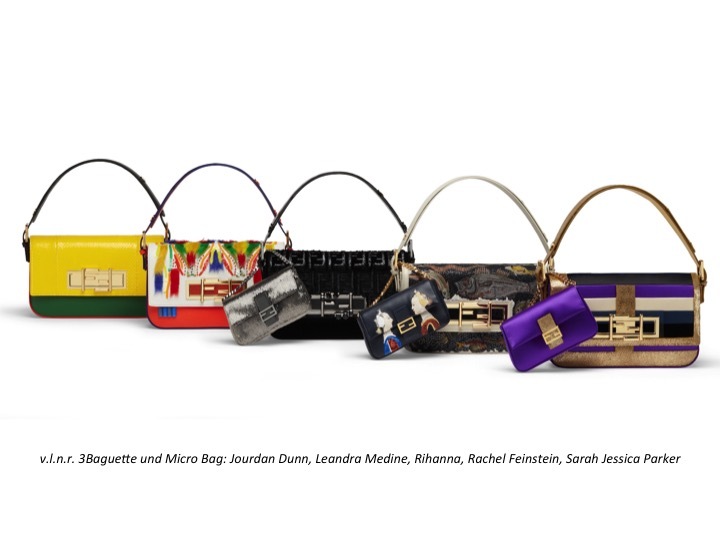 Along with the launch of the 3Baguette Project, a new take on the famous baguette, designed in collaboration with five iconic New Yorker women, including Rihanna, Sarah Jessica Parker, Jourdan Dunn, Rachel Feinstein, and Leandra Medine. Each woman worked closely with Silvia Venturini Fendi and FENDI’s atelier to design their 3Baguette bag based on FENDI’s motto, “Nothing is impossible.” The 3Baguettes are now on auction online at 3baguetteauction.fendi.com and all proceeds will be donated to the charities of their choice. Bold face names from Hollywood and fashion came out to celebrate the new flagship store on Madison Avenue, including Sofia Coppola, Hailee Steinfeld, Karl Lagerfeld, Naomi Campbell, Olivia Palermo, Sarah Jessica Parker, Jourdan Dunn, Rachel Feinstein, Rihanna.